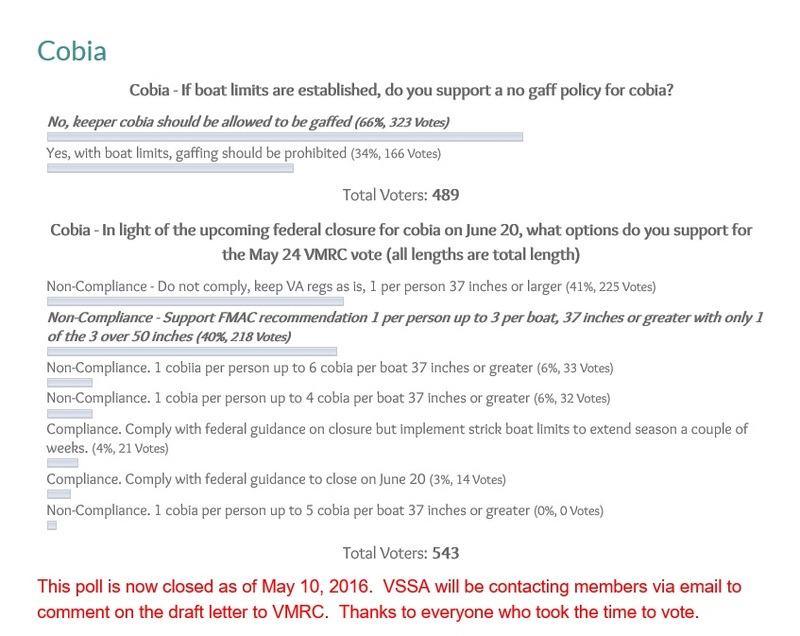 The draft cobia letter was distributed to VSSA members today. Comments should arrive NLT Wed, May 18 and the letter will be submitted by Thur, May 19. Please contact us if you did not receive it and wish to review before being submitted. 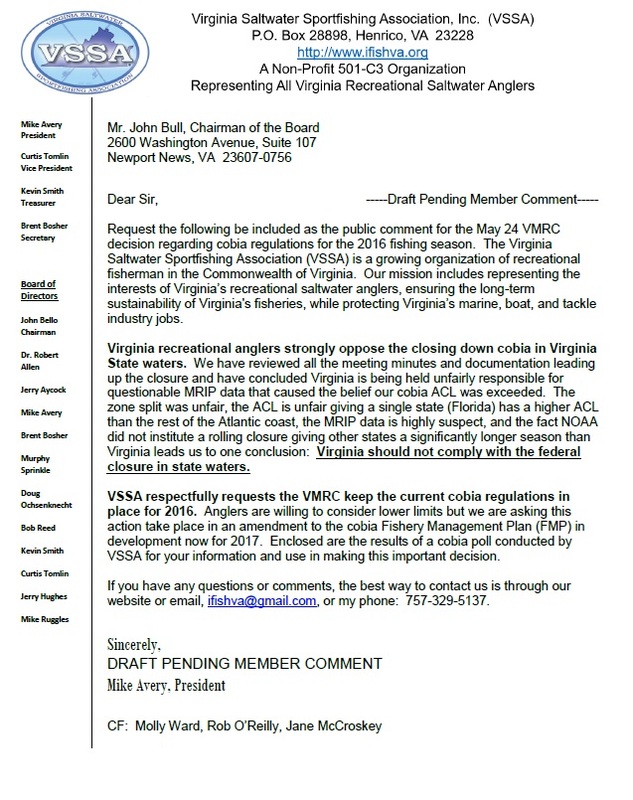 Anglers are encouraged to submit their own letters or emails to VMRC. Emails should be sent to rob.o’reilly@mrc.virginia.gov or mailed to VMRC, 2600 Washington Avenue, Suite 107, Newport News, VA 23607-0756. Letters and emails should arrive NLT Friday, May 20. The VMRC meeting where the cobia regulations will be set for 2016 is scheduled for May 24 and is item number 14 on the agenda.